Is this a good time to buy French property? 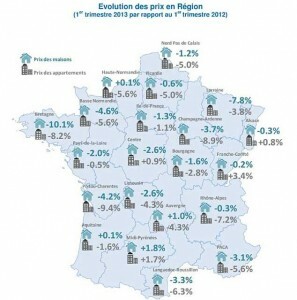 House prices in France have been slowly falling for the last two years but 2013 has seen the market stabilise and prices and property transactions now appear to be on the increase in this region. This could be down to French mortgage rates which are at an all time low or because, thanks to the financial crisis, there are some stunning houses on the market right now, many for sale at less than their true market value and hence investors are moving in. 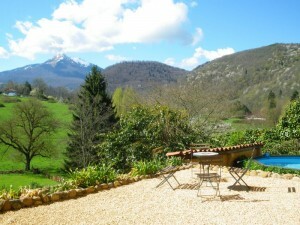 If you have been waiting for the best time to buy a property in France, I would suggest that this might be it. Belts are being tightened here as everywhere but quality of life remains high. What’s more, the Midi-Pyrenees region has an unusually high stock of beautifully and solidly built stone houses in beautiful locations and this, combined with record low mortgage rates means that it is a buyer’s market here right now. Borrowers can access stable, long-term low rates from 3.35% for a 20 year fixed rate and 20 year tracker mortgages from just 2%. These are the best rates investors have seen for over 65 years and the best in Europe so it’s no surprise that I am getting lots of interest from investors choosing to lock in some long-term capital in consistently high value and stable French bricks and mortar. This map shows a regional breakdown of values in the first quarter of 2013, compared to 2012. The FNAIM also saw transactions towards the end of 2012 plummet 25 per cent due to the change in government with socialist leader Francois Hollande coming to power. Buyers and sellers were holding tight to see what happened to the market but the market in this region at least seems to be on the move again perhaps because buying a house in this part of France is seen as both a lifestyle choice as well as a sound financial investment.